Master's degree-seeking students are those students admitted to a master's degree program. Master's degree candidates are those degree-seeking students who have applied for and been admitted to candidacy. All programs must establish written requirements for degree candidacy. Minimum program degree candidacy requirements must include: admission to the program through which the student intends to earn a degree; a completed and approved Graduate Study Plan; successful completion of designated pre-candidacy coursework, and an application and admission to candidacy process. Admission to candidacy is a pre-requisite to enrollment in the capstone experience designated for the program. Candidacy must be attained at least one term prior to the term during which the degree is to be awarded. An oral, written, or combination examination meant to test a student's proficiency in some special field of knowledge may be used to determine a student's eligibility to enter a program, continue in the program, become a degree candidate, and/or graduate. The following general requirements for the master's degree are minimum standards established by the university. Colleges and individual majors may determine additional, more specific requirements that will be incorporated into an approved student study plan. Students seeking the Master's Degree shall complete at least thirty-two (32) credit hours beyond the baccalaureate degree. Those seeking the Specialist Degree shall complete at least sixty (60) post-baccalaureate hours. Those seeking the Doctoral Degree shall complete at least seventy-five (75) post-baccalaureate hours. Any graduate program must include a Graduate Capstone Experience of at least three (3) credit hours. A minimum of sixty-seven (67) percent of the graduate program coursework must be in graduate-only courses, numbered 6000 - 9999. A maximum of fifty (50) percent of the credit hours, counted toward graduate degree requirements, may be earned from the same faculty member, unless there is an approved exception by the dean for a degree program. A maximum of twenty-five (25) percent of credit hours may be earned in elective independent study or elective internship, unless there is an approved exception by the dean. All graduate students shall maintain grades in accordance with the established University grading policy (Policy 26); however, in no case shall a grade of "D" or "F" be acceptable toward meeting degree requirements. All graduate students must be in Academic Good Standing in accordance with University's academic standing policy (Policy 14G) to be admitted to or to remain in the Graduate Degree Candidate status. To graduate, all grades of incomplete ("I" or "E") or continuing registration ("CO") must be removed by the graduation processing date. Graduate degree programs may allow students to use the "CO" (Continued Registration) status to extend the time to complete their Capstone experience. If there are extenuating circumstances, the student may petition the dean of the College to request an exception to these time limits. The dean of the college will consult with program faculty and chair prior to decision. Apply to degree requirements no more than six credit-hours earned in independent studies. Demonstrate that all degree requirements have been met as stipulated in the approved study plan. A master's degree candidate participates in a capstone experience. Capstones provide intensive experiences in critical analysis, research, and/or evaluation and provide an opportunity for integration of previous courses in the major. Graduate capstone experiences require graduate degree candidates to examine complex issues in substantial pieces of writing or other products as well as demonstrate synthesis of program content and mastery of program learning outcomes. Program faculty must designate at least one course in the program as a capstone course. Successful completion of this course is required for graduation. Capstone experiences follow completion of other parts of the core curriculum and are, therefore, restricted to degree candidates. Registration for any graduate capstone experience requires degree candidacy as a prerequisite. Student work in a capstone must be evaluated and accepted by a committee of at least three qualified members and chaired by a Governors State University tenured or tenure-track graduate faculty member. No faculty member may serve as a member or advisor for a Master's, Specialist, or Professional Doctorate capstone if there is a potential or perceived conflict of interest, such as being former classmates. Capstone alternatives are described below. Each program shall provide students a copy of detailed procedures and specify appropriate manuals of style for the capstone alternatives required in the program. Regardless of the alternative chosen, the evaluating committee must always be chaired by a tenured or tenure-track graduate faculty member. Major Research Course: A major research/project course is an individually registered course in which the candidate must present evidence of (a) a thorough review and understanding of the literature germane to the subject, (b) the ability to do independent research, and (c) the preparation of a manuscript which conforms to generally recognized standards of scientific and scholarly writing in the discipline. Common examples are a thesis or a dissertation. Portfolio Course: As a discipline standard for evaluating student mastery of graduate work in the creative arts, students in this kind of capstone develop a large portfolio of projects or pieces. For the degree, either a single piece is selected for evaluation or the entire portfolio of work is reviewed. Project Course: This type of capstone may feature individual or small-group projects developed to demonstrate the student's mastery of given domain. Examples of this alternative include but are not limited to directed readings, master's projects, graduate culminating seminars, software or educational program design and evaluation, case studies, simulations, or action research projects. Fieldwork or Internship Course: In an internship-style capstone course, the student participates in an internship, or works in the field, supervised by a Governors State University tenured or tenure-track graduate faculty member or appropriately credentialed member, as well as field supervisor. Comprehensive Examination: A comprehensive examination may be used in combination with one or more of the above alternatives. However, examinations alone may not be used as the total graduate (capstone) requirement. Transfer of Prior Credits. This applies only to credits being transferred from regionally accredited institutions to any Governors State University graduate major. The decision to accept transfer credits toward degree requirements is made by the academic advisor during the first term of enrollment when the student study plan is developed. The student study plan will detail the requirements for the degree including the number of transfer credits accepted toward the requirements. Transfer of graduate credit hours shall not exceed twenty-five (25) percent of the total number of credit hours required in any major. Only work from regionally accredited institutions completed with a grade of "B" or better or "P" or equivalent will be considered for transfer credit. Transfer credits earned ten (10) or more years prior to the student's acceptance into a degree program will not be accepted toward the degree requirements unless approved by the respective academic dean. Undergraduate students in the last term of their studies may elect to enroll for graduate credit but are limited to a maximum of nine (9) credit hours beyond the baccalaureate degree requirements which may be applied toward graduate degree requirements. Undergraduate students may enroll in graduate only courses only with written permission of the course instructor and the dean of the college in which the course is offered. Credits earned and applied toward any degree previously earned may not be applied toward a second or additional degree. Students pursuing two or more degrees simultaneously may not apply the same credit to more than one degree. NOTE: No more than six credit hours earned as a master's level non-degree seeking student may be applied toward degree requirements. Transfer Credits Earned After Admission. After admission to a degree program, additional credit will not be accepted from another institution unless permission to apply such credits toward degree requirements was obtained from the Dean prior to taking courses at another institution. Only courses with grades of "B" or better will be accepted in transfer after matriculation to a graduate degree program. Graduate students who maintain a minimum cumulative grade point average of 3.0 are in good standing. 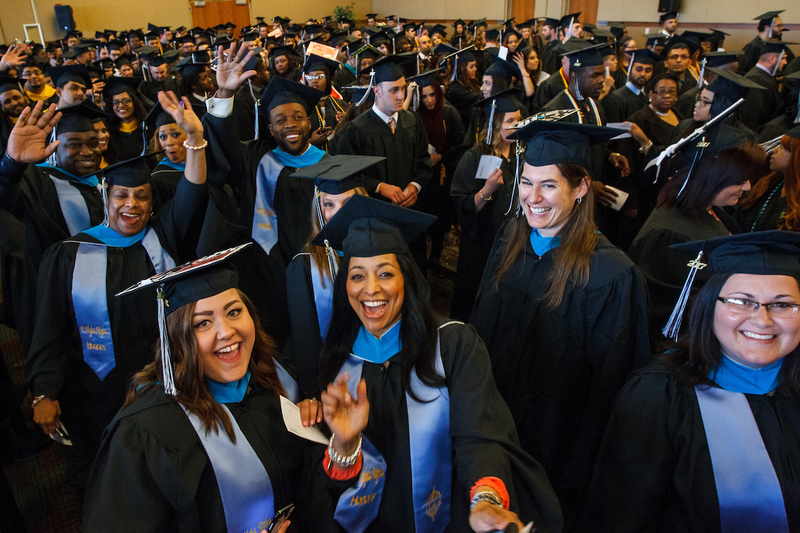 All master's degree-seeking students are required to earn a minimum of 24 credit-hours of course work from Governors State University before the award of the master's degree. Degree-seeking students who wish to change their major and/or sequence must complete the appropriate forms available on the web or in the Registrar's Office. Students who change their course of study are subject to any special admission and degree requirements in effect for the new major and/or sequence at the time of the change.